I got triggered by someone’s judgment and criticism about a choice I made. I know that when someone gives their opinion, it is based on their history, their personality, their preferences, and their life experiences. I know it’s totally about them and has nothing to do with me. As a Recovering People Pleaser, I usually do a pretty good job of not taking things personally. But sometimes I forget and fall into the trap of letting someone else’s opinion affect the way I think and feel. When I let someone’s harsh judgment inside of my head, I can become hurt and defensive. 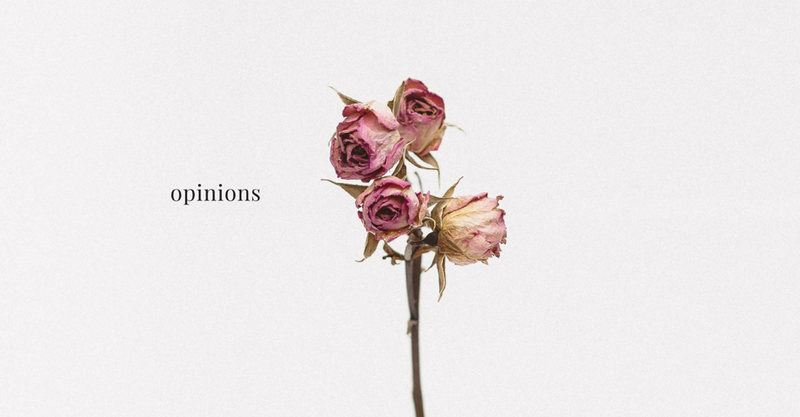 Why do we care so much about other people's opinions? It starts in childhood where we are trained to perform for approval. Be polite, get good grades, be kind, and you will be rewarded with the delicious feeling of approval. Some people end up craving this feeling for the rest of their lives and become either Approval Addicts or People Pleasers. Why do we get so affected by criticism? After all, it’s just someone having an opinion about you, or about what choices you make. Why do we spend so much of our time trying to control how other people see us? Because in reality, we actually have zero ability to control what other people think. Imagine going to a party and there are ten people there. You walk in and you want everyone to like you. Someone might hate your outfit. Someone else might love it. The bottom line is that you can’t control what other people think. Not only do you not have any control over what other people think, it’s also none of your business. Your only business is what you think. Often when someone criticizes us, we want to lash back. We want to attack, we want to judge them right back, we want to annihilate the source of pain. What am I making it mean if someone criticizes my choices? Am I making it mean that I am doing something wrong? The answer is No, it doesn't mean that. It only means that someone else would do it differently than you. Another reason that we are so sensitive to people’s judgments is that there may be a kernel of truth to what they are saying. Are people’s judgments of me true? Maybe so. But a better question is: Do I like who I am? For me, the answer is yes. I am proud of who I am. As a business owner. As a wife. As a mother. I own my decisions. Unapologetically. Will some people judge me? We need to give people permission to judge us. Because the truth is, whether we like it or not, people are judging us whether we give them permission to or not. That’s what we do as humans. People judge you on what you wear, how much you weigh, what car you drive, how much money you make, where you live, how you talk, and the list goes on and on. So what? Let them judge. And let them be wrong about you. We must learn to be okay with people judging us. We must give them permission to not like our choices. Only then can we become grounded in our own truth, and in our own opinions. When it comes to who you are, your opinion is the only one that matters. When you are making decisions, your opinions are more important than anyone else’s. It’s you who has to live with the result of your decisions. Give yourself the gift of your own approval instead of giving that power away to others. What do you approve of in your own life? When I wake up in the morning, I am proud of the woman I am.